*You’re in a talkative mood this week. The conversation(s) covers a myriad of topics, including home, work and exactly how you can better communicate your inner thoughts. The Full Moon in Leo on the 29th tempts you to gamble on a risky endeavor. With irritating Mars still in its retrograde motion in that sign, hold off for a while, even though you may feel your intuition is right. That mirage you see off in the distance is just that – a mirage. A better gamble is to see concrete plans through to their logical conclusion. You’ll get a more tangible clue on the 1st, when you bow to the wishes of others – gladly. Money matters highlight the beginning of your forecast period. Only worry you have right now is the number of ways to disperse your finances. Wait until the morning of the 27th, when a delightful home situation puts you in a position of power, which will manifest itself on the Full Moon of the 29th. There are many blessing that await you on the 31st, when long-planted life seeds spring forth into goals you’ve wanted to achieve. You are at full strength this week. Just about the only worry is a tumultuous and very busy weekend, which will calm down on the 1st when you return to work exhausted from all the fun you had. With the Moon in your zodiac sign at the start of this forecast period, you can’t shut up, and are boisterous beyond your normal chatty self. Also with this placement, a restless, moody persona comes forth, as you look to your inner voice for comfort. Practice peace and tranquility around your home environment, as a responsibility tugs at you to be fiscally sound. When the Full Moon in exhibitionist Leo comes around on the 29th, you are advised to be the loudest voice in a crowded room. This lunar effect lasts until late on the 30th, giving you plenty of time to state your case. You are quite the flirt this week. Decisions are being made behind the scenes that affect your financial future. By the Full Moon on the 29th, you will know exactly what that decision holds. Look for outsiders to channel their support in whatever you do. Be forewarned that the Moon is in your sign on the 27th and 28th, making you perhaps a bit more sensitive than normal. It’s a special two-day period that may touch on, of all things, your patriotism. Stand tall, especially on the 1st, whenyou may find your expertise called upon to delve into details that you alone understand. With the Sun in your opposite sign of Aquarius, you’ll find yourself in environs that you don’t normally tread. Take the plunge, especially with adorable and love-oriented Venus, also in Aquarius, urging you to pay attention to quirky traits a loved one is displaying. You are absolutely in the spotlight on the 29th, when the Full Moon is in your sign. About the only negative with this day is that attention-grabbing Mars in your sign collides with the Moon that day, as well as the 30th. Hold your temper, if you feel you are misunderstood. Details will work themselves on by the 1st, when money solves that sticky issue of who owns what. A long-held secret gets revealed in all its glory by the 29th, when all you can think about is how you got where you are and what it is you need to appreciate more, especially when love is involved. If your career seems a little bit shaky at the beginning of this forecast, trust that the aspects surrounding you are protecting your spiritual side. It’s as if a guardian angel is offering you protection. You’ve got it in spades, and by the 31st and 1st, when the Moon is in your Sun sign, you will find that you hold the answer to what’s the most important thing in your life. You’ll be surprised when you find it’s you. A home business may be just the thing for you to get ahead in life. Sometimes, an outside work environment causes you to be tugged in too many directions, draining you of your creative abilities. Spend the first part of this forecast thinking of ways to make your business unique. As you find your special talent, put in the time to make it concrete. See if you can get your business up and running by the Full Moon of the 29th, when the sector of the zodiac that governs your hopes and wishes is totally illuminated. There will be bumps, so take the weekend to analyzed the bugs out of your project. The usually focused Scorpio may find life a bit scattered, as travel plans may seem to be covering too much ground. Actually, travel right now may be the very thing you need to get your thoughts back to where you feel comfortable. The Full Moon on the 29th highlights your career, and all aspects say a Taurus person may be the one guiding you. Listen to his or her words instead of fighting to have things go your way, mostly on the 27th when you may be touchy about a subject you’d rather not talk about. It’s good to be silent and secretive, traits that often serve Scorpios well. You bring innovative ideas to the table this week. Do not be derailed if someone seems to be stealing the spotlight. He or she really isn’t. As a matter of fact, you usually take the microphone and shout out your philosophies, but may feel a hesitation because you wisely surmise that there are others pulling the strings, so you may as well play along. This week is an easy one for Sagittarians, some of whom need to hear another voice. If you’ve been paying attention to a picky boss at work, you’re doing the right thing: he/she has eyes in the back of their heads, and they’ve noticed you more than you think. Your ruling planet, Saturn, is in the sector of the zodiac that governs your career. It’s in retrograde, meaning that you’d best pay attention to where you’re headed, and whether you want that long-term security, or short-term satisfaction. The 27th and 28th urge you to seek the counsel of family, a move that will have a direct impact on your pocketbook on the 29th. Begin to map out travel plans toward the end of this forecast. If you live up to your sign, that will not be a problem, as control is a MUST for the Goat. Use that time to your advantage, and don’t take your eyes off the prize. The Full Moon on the 29th directly, and I mean directly has an impact on you. It’s in your opposite sign of Leo, bringing you a chance to get all dressed up in your finest threads, a move that others will appreciate. You are quite the different person and like to stand out. Others see that and are attracted to your outside-the-box approach; they just wish they had your nerve. It’s also a good time to get your taxes in order and make sure you have your papers available for an accountant’s review. Money matters will soon be a huge and sudden issue, so follow this Boy Scout motto: Be prepared. Life has suddenly gotten big for you. You see far more than others do and are generous in spreading the knowledge. However, you have to answer for something you started. It’s not a bad thing, just that you may have recently shouted your mouth off and it’s time to pay for your outburst. Others are surprised at your new-found bravado; you couldn’t be happier, as now people realize you are no pushover and will stand up for your principles. You will get a chance to have your say over the weekend, so make sure that what you say pays off. It should, but it will not have an effect until just past this forecast. Rap the praises of this Aquarian born with the expressive Moon in Sagittarius. This is the perfect combination for talkative people, for their minds are filled with thoughts that simply must be on public display. As one half of the Grammy-winning rap duo Outkast (Andre 3000 being the other, Big Boi chose the right profession to display his clever wordage. Communicative Mercury in Aquarius says that his thoughts and actions are one and the same as the Sun in Aquarius. In other words, what you see in Big Boi is exactly what you get. Driven by Mars in Capricorn, he is also an astute businessman, strong in his beliefs, but also blessed, or cursed, with a quick wit and temper. His Jupiter in very generous and service-oriented Pisces lends an urge to help his fellow human being as much as possible. This huge planet recently returned to Pisces, bringing with it a recharged capacity for even more fame this year for Big Boi, especially since his natal Venus joins the giant planet. This also points to Big Boi’s willingness to bow to thte wishes of his loved one with no strings attached. Jupiter zooms through Pisces more rapidly than normal, so there is a window of opportunity to increase his earnings in 2010. Cautious Saturn in Cancer – opposite fiery Mars – tends to suggest a strict home upbringing, one with a dominant parent who did not allow disobedience. 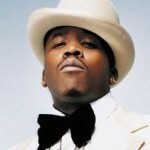 However, that quick wit has obviously helped Big Boi get out of a number of sticky situations. 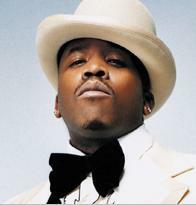 Neptune in Sagittarius bestows a knack for acting, which he would be wise to follow as Big Boi turns 35, ancient in the youth-obsessed hip-hop culture. His appeal will be served well in this endeavor.